My everything hurts - preventing and dealing with injuries. I hurt myself - a lot. Everything from sprained ankles and knees, broken ribs, elbow tendinitis, shoulder strains, to a string of lower back issues, and my most recent injury, a pulled groin. So...why do I always hurt myself? Between working full-time, trying to stay active both socially and professionally, participating in recreational sports, I consider myself to be rather busy. I don't always make time to warm-up - because I simply forget, or some days I literally go from an office chair to the baseball diamond, or rugby pitch in a matter of minutes. Speaking of baseball, the reason why my groin is currently in a world of pain, is a sport that goes from light intensity (I use the word light very generously), to high intensity in one crack of the bat. Combine that with no warm-up, a past riddled injuries, and you can understand why when I tried beat out an infield single, my groin didn't agree with me. I am believer that a majority of injuries are preventable through a combination of active stretching, mobility drills and warm-ups. And yes, you may not have time. But I have learned I am learning to either find, or make the time. Stretch at the office, or in the car (preferably at red lights), a 5 minute warm-up can do wonders for the body. Want to prevent injuries? Make time for a thorough warm-up, stretch and work on your mobility. So you have an injury? What do you do? How do you treat it? Well, it depends. Most injuries will heal with time and plenty of rest. I repeat, rest. Don't push it. Don't be a hero. Now, I feel like a hypocrite because I am competitor at heart. A try-hard, someone who hates to lose almost more than he likes to win, someone who hates sitting on the bench or missing games. Once again, I have learned I am learning to stay off the field when something hurts. Because it will only get worse. If you have the coverage, or can afford treatment, I recommend it. I have spent countless hours and dollars on physiotherapy, chiropractors and doctors. Who to their credit, have helped speed up recovery times, and get me back on the field. How to deal with your injury? Rest. And seek treatment if necessary. 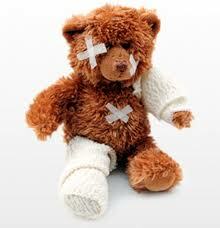 Injuries will happen - some are just unpreventable. Do your best to limit injury with proper and effective warm-ups and when the injury strikes, don't be afraid to rest until you feel 100% better.